Been buried the last few months but thanks for all the great comments guys. It's always nice to get feedback from such amazing artists. 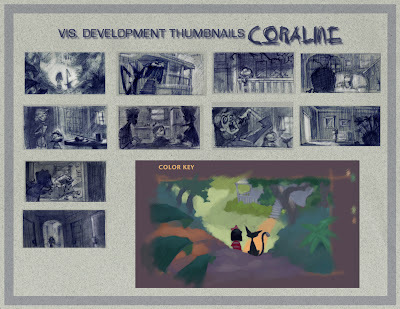 Here's a few more "Coraline" roughs and a little color key from end of last year.